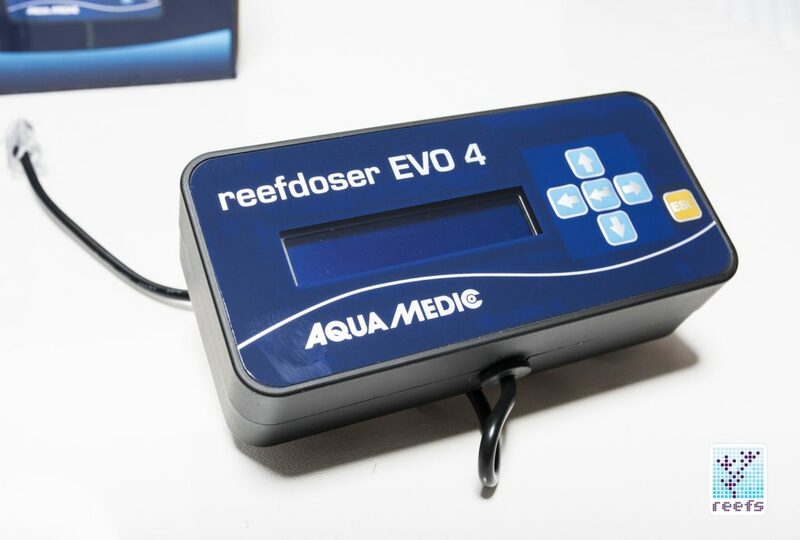 Germany’s Aquamedic is famous among reefkeepers for being the first company to popularize the automatic dosing pump. 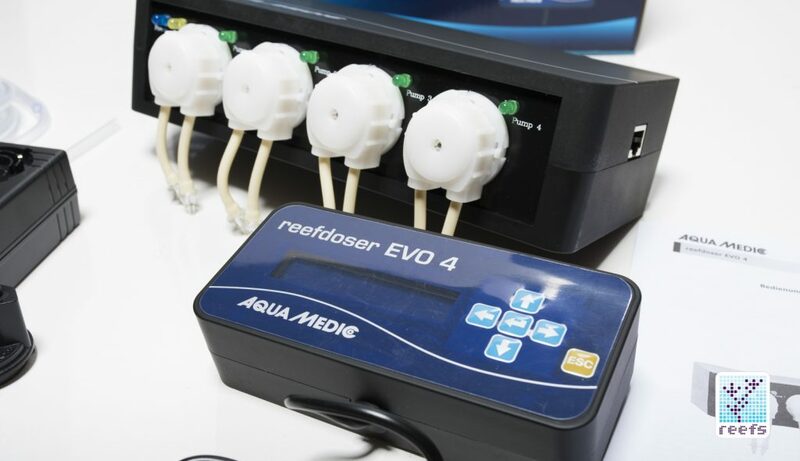 As hobbyists realized the importance of supplementing their reef tanks with calcium and alkalinity buffers, the Aquamedic Reefdoser was their first, and frankly, only choice for a dosing pump, other than the ridiculously expensive and huge medical-grade pumps. 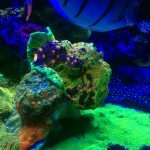 Despite its confusing and illogical programming, it was a true workhorse, and was highly praised by aquarists around the globe. 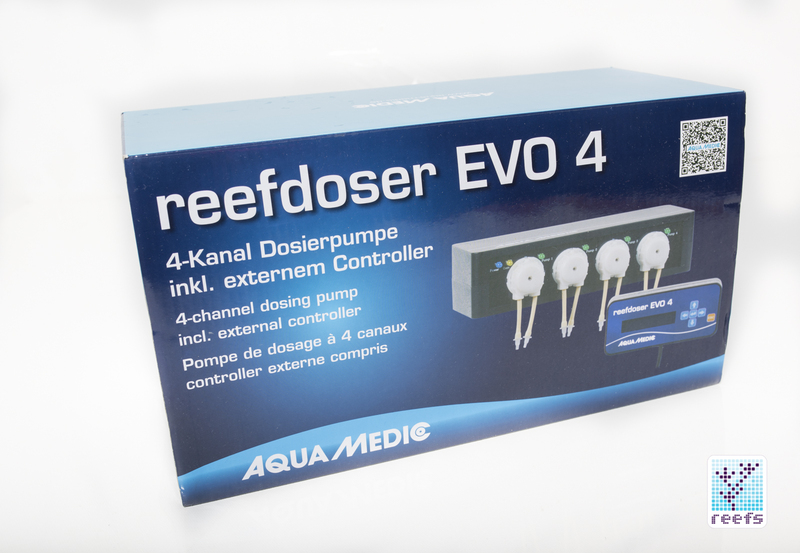 The company recently announced their new line of liquid dosing pumps called Reefdoser 4 EVO. 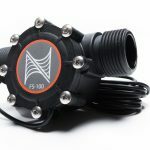 The doser is designed to compete with the flood of inexpensive, generic-brand pumps that are now available, and it offers some interesting improvements and an attractive price tag. 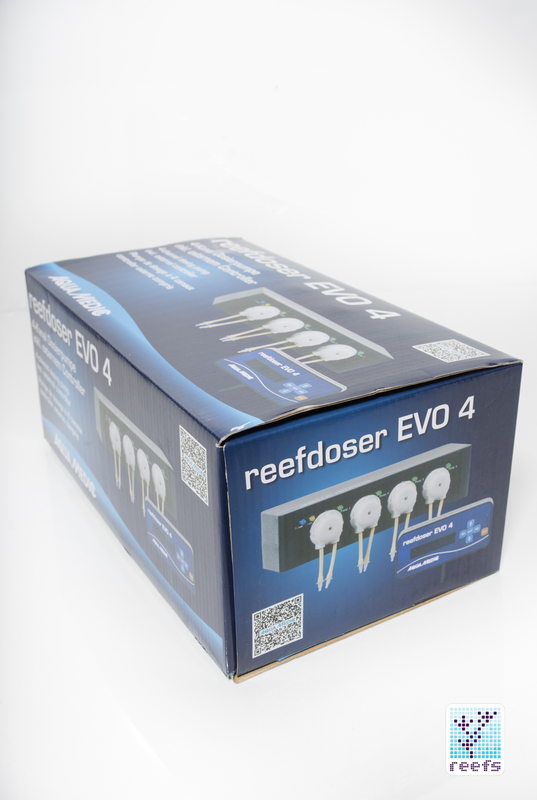 Let’s take a look… At first look, Reefdoser EVO 4 closely resembles the generic pumps on the market, all based on the original design by another German company, GHL, and their Profilux dosing pumps. 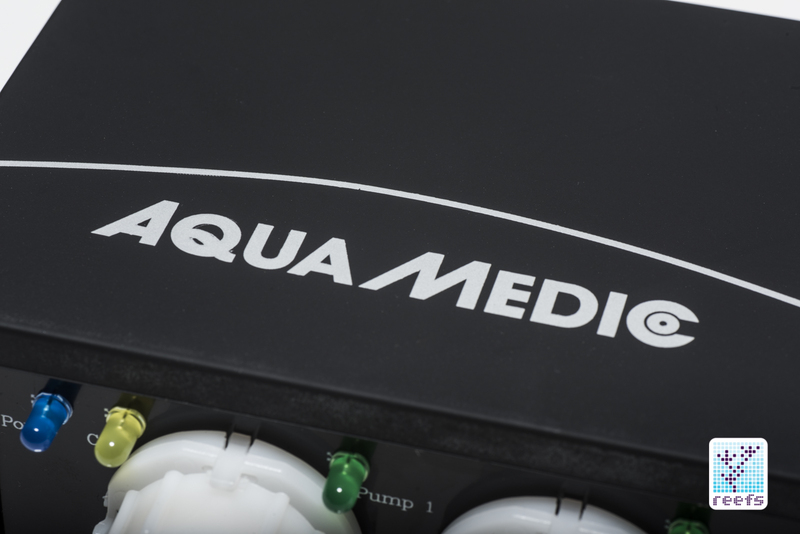 But upon further inspection, we see that Aquamedic’s pump is far from carbon copy. 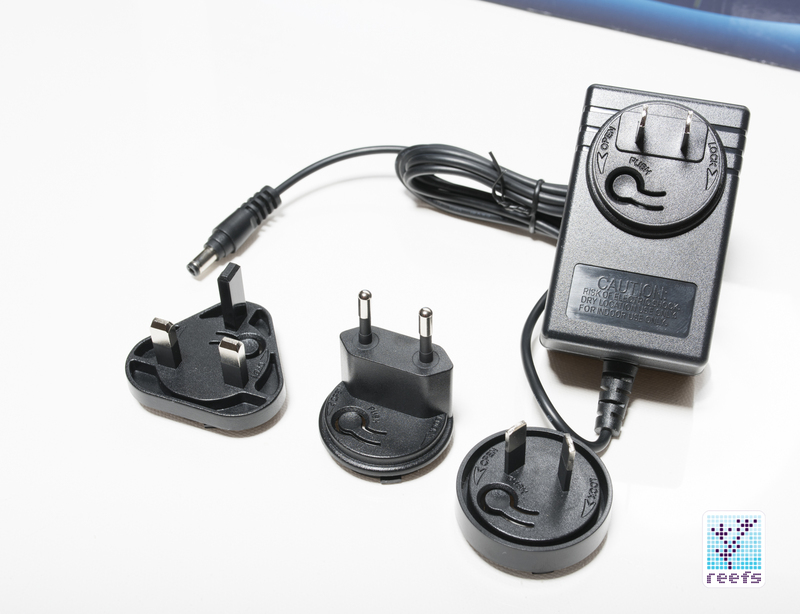 The most significant improvement on the standard design is the controller- instead of sitting inside the main body, it has its own cord and can be mounted away from the main body. 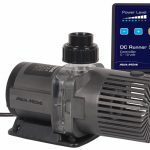 This clever idea is a welcome change and a strong selling point; anyone who has used a doser will agree that having the display and controls cramped next to the pump’s heads is not ideal. 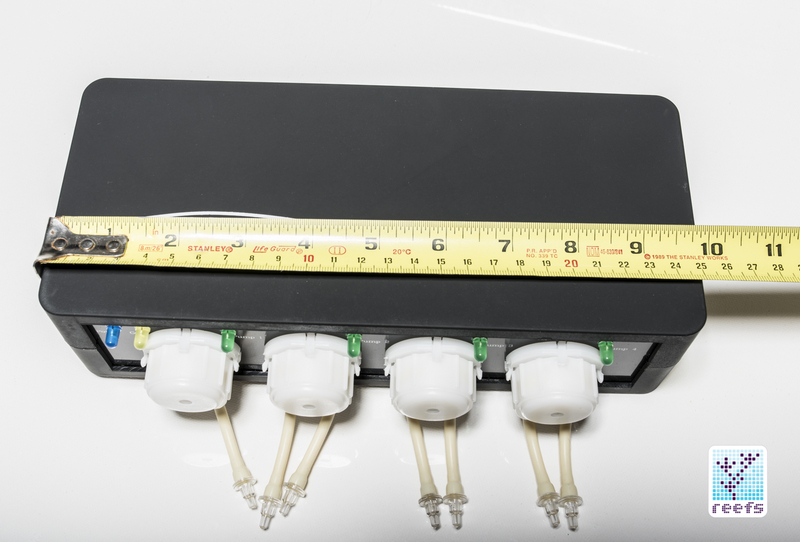 Not only is it unattractive, but having to deal with a spider web of dosing lines just to change the daily dosage is quite frustrating – with this redesign, you can mount the controller with its built-in numeric display away from the dosing pump’s box. 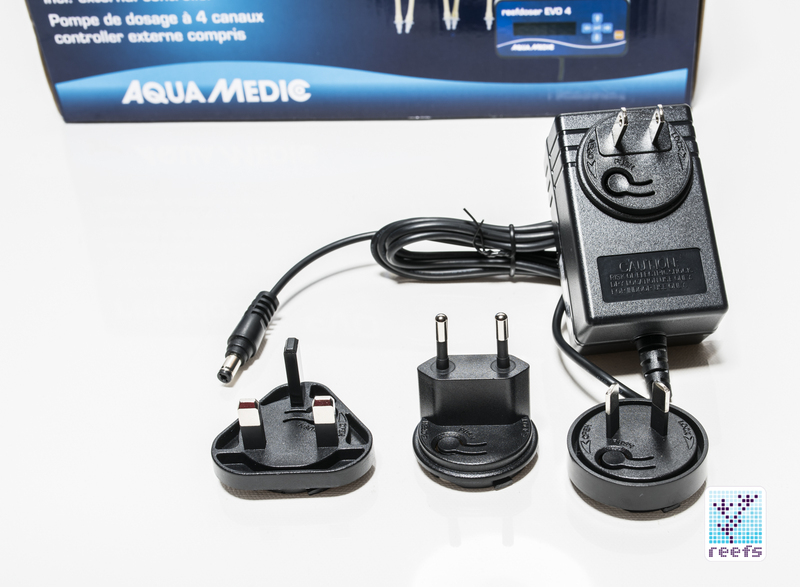 The cord is long enough to hang the controller on aquarium stand’s side or even on an adjacent wall. 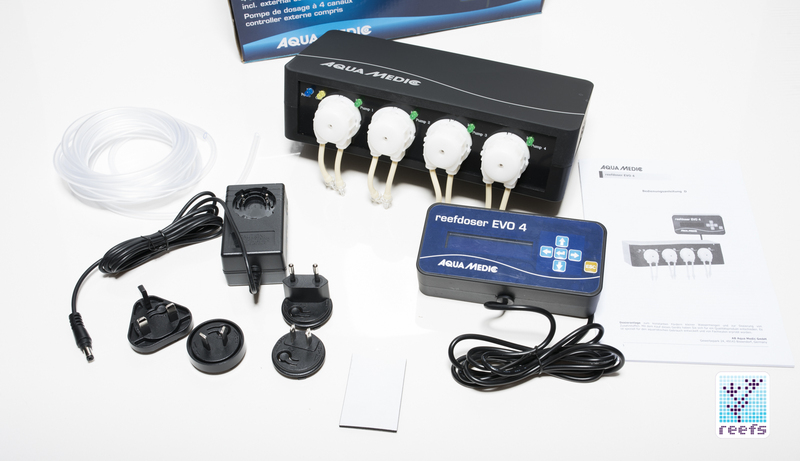 The main unit, where all four pumps sit, will look very familiar to anyone who has had experience with the mass-produced Profilux dosers, but the overall build quality and the “velvety” finish on both the main body and the controller keeps reminding me that it’s an Aquamedic product. 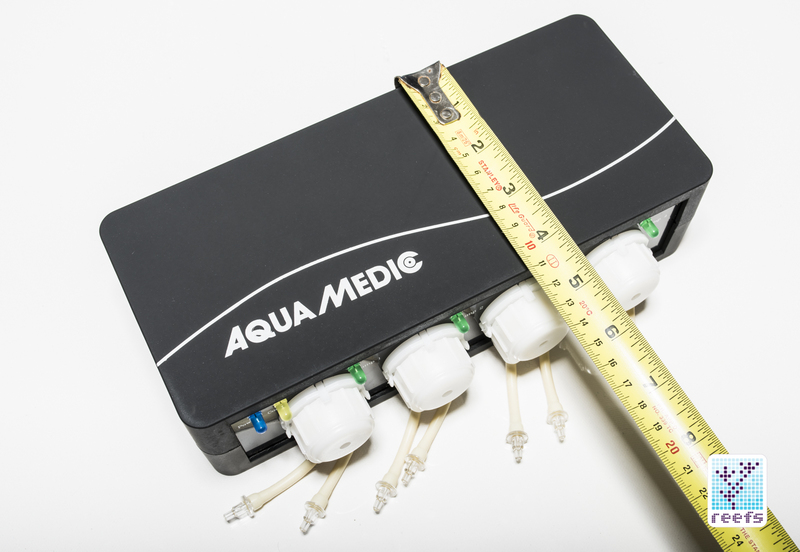 The pump heads are removable (for cleaning and lubricating) and replaceable; Aquamedic sells replacement heads through its network of vendors. The remote controller, especially in this price class, is a welcome and very useful addition. 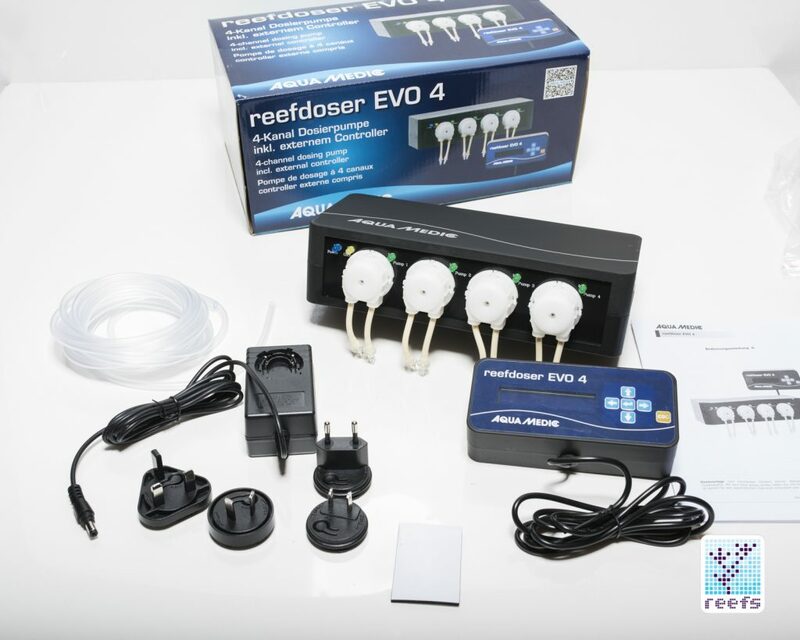 After all, I think we can all agree that dosing pumps are an eyesore and something you’d like to hide in the darkest corner of the aquarium stand. 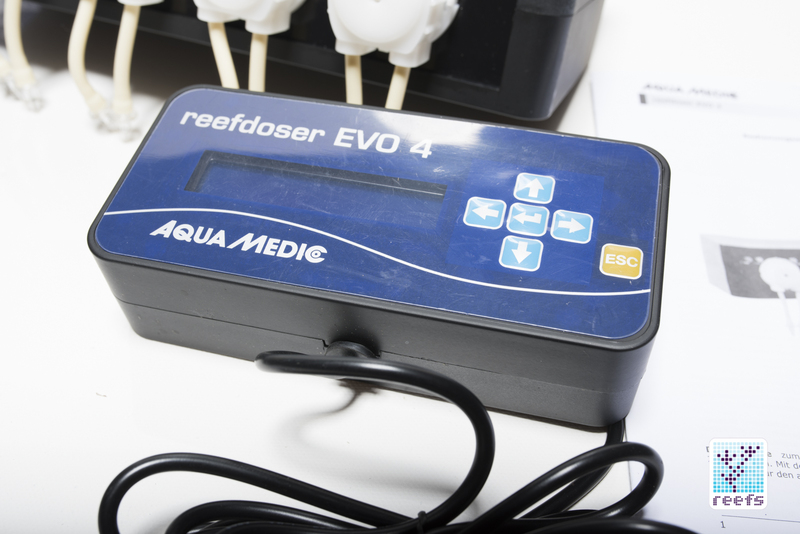 But the dosing regime does need to be adjusted from time to time, and having an easily-accessible control interface saves a lot of frustration. 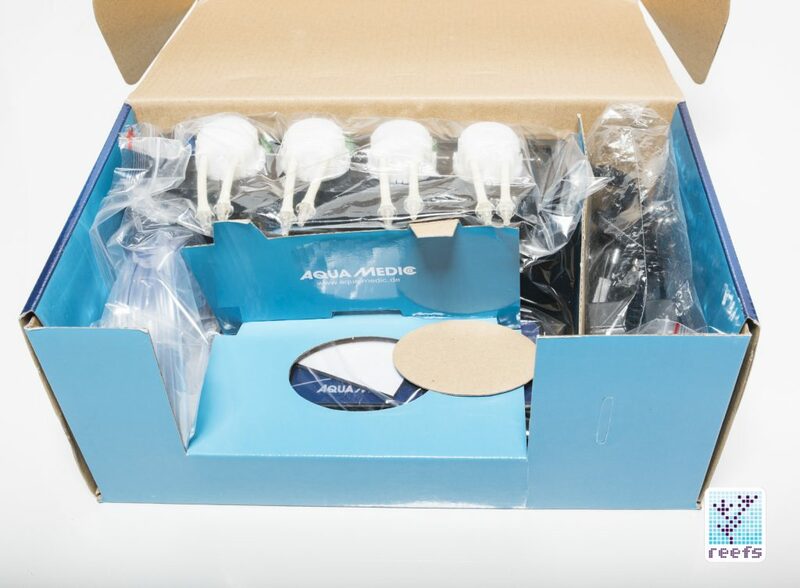 The controller is functional and easy to operate, with a tv remote-style layout that offers a quick way to change settings and mechanical buttons that are very responsive. 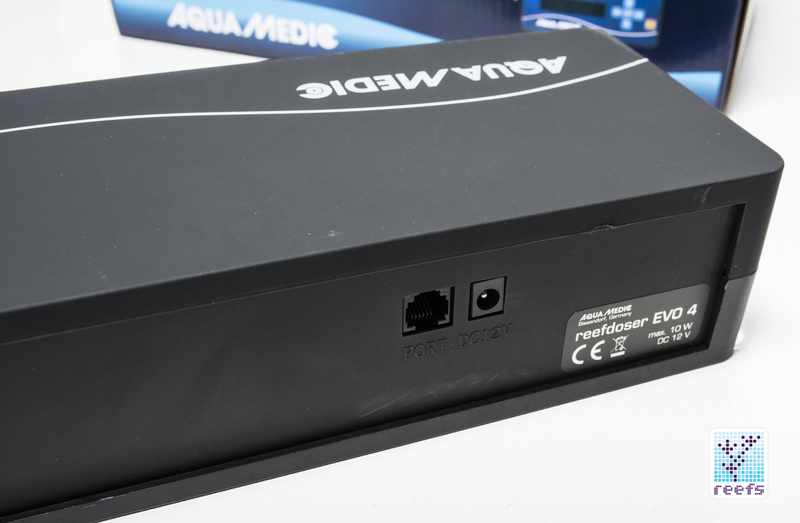 The only downside of the controller is that it’s kind of bulky by today’s standards, a thing to be aware of if you plan to mount the controller on the front of the stand. 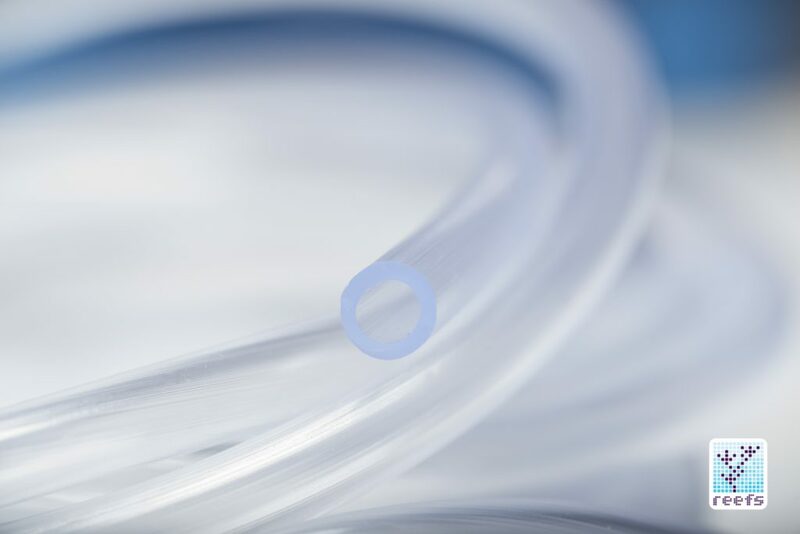 The high-quality tubing that comes with the package (all 13ft of it) is of the flexible, non kinking variety; so important in these dosing pump systems. 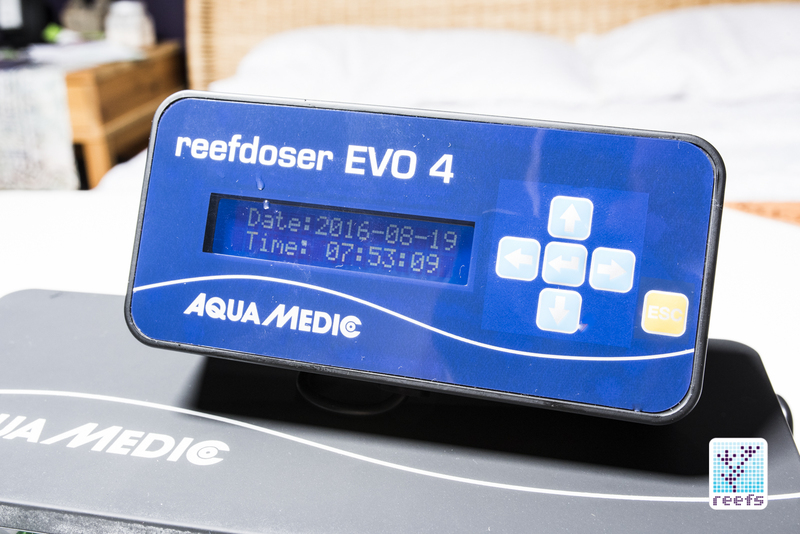 Programming Aquamedic Reefdoser EVO 4 is as straightforward as it can be. To begin, you enter the date and time of day (which was already correct in my case, mostly likely due to an internal clock memory). 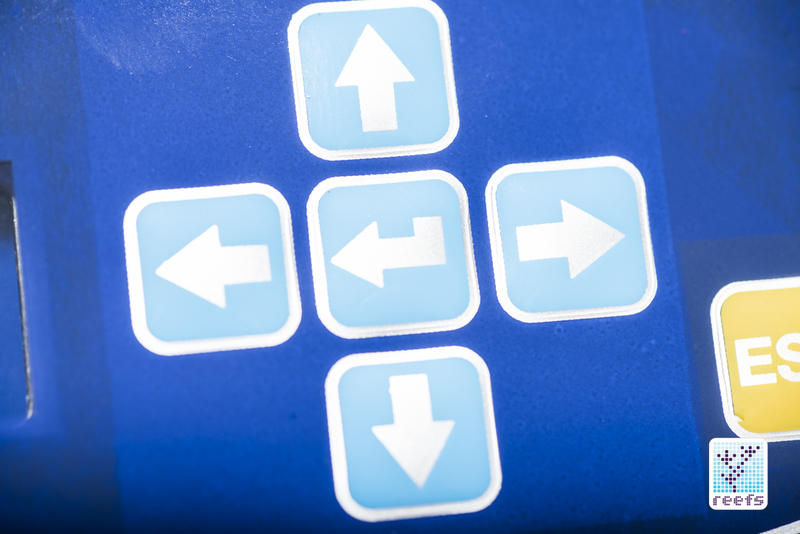 Then, there is only one other option in the menu, labeled simply “Set program”. 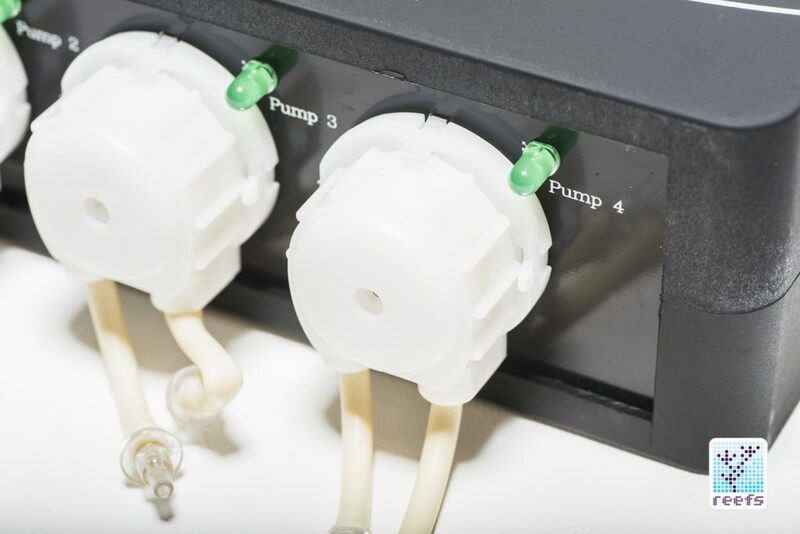 The program follows few simple steps – first, you choose which pump you’d like to program, then the dose-per-day number, anywhere between 1-24 individual doses per 24 hour period. 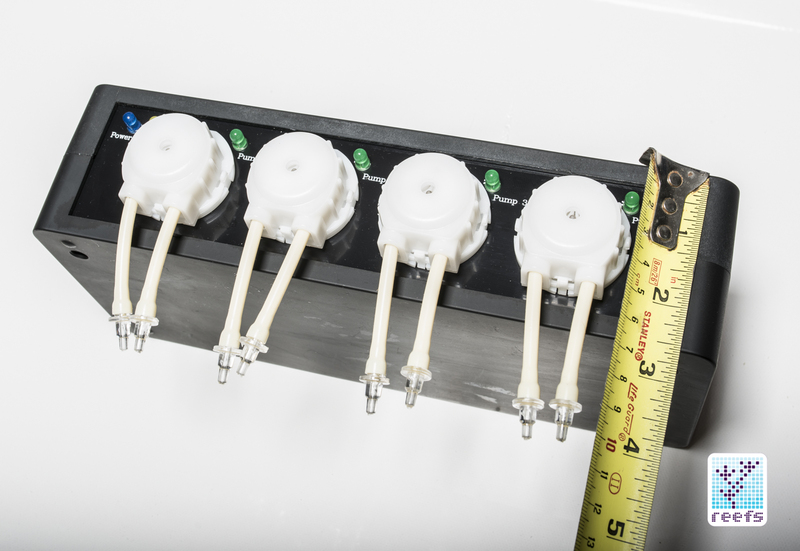 Next, you set the “Days interval” with numbers between 0-30. 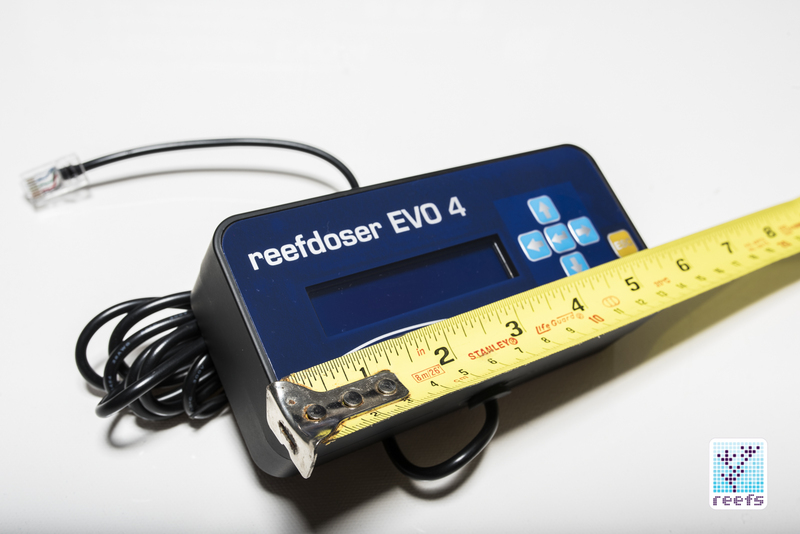 Zero means there is no interval and the dosing regime will be repeated every day, “1” means one interval or one dosing scheme every other day, and so on. 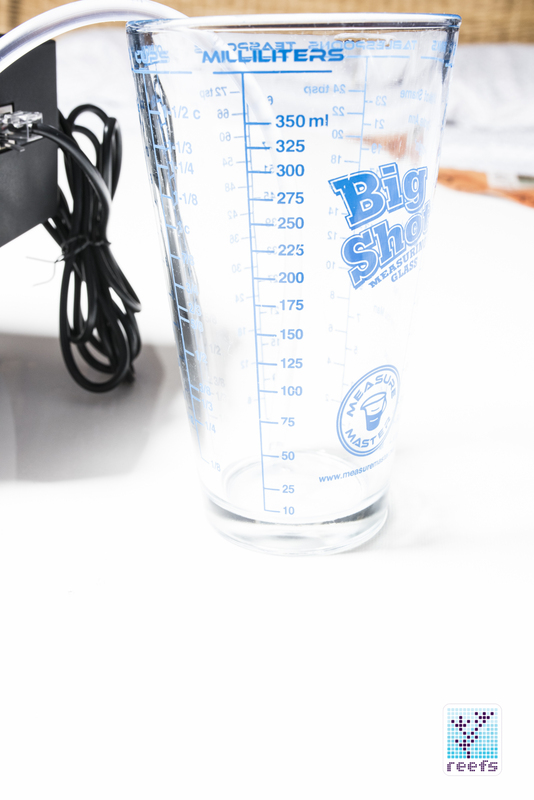 Step three, you determine the dosage volume on a scale between 1-9999 ml, with 1 ml increments. 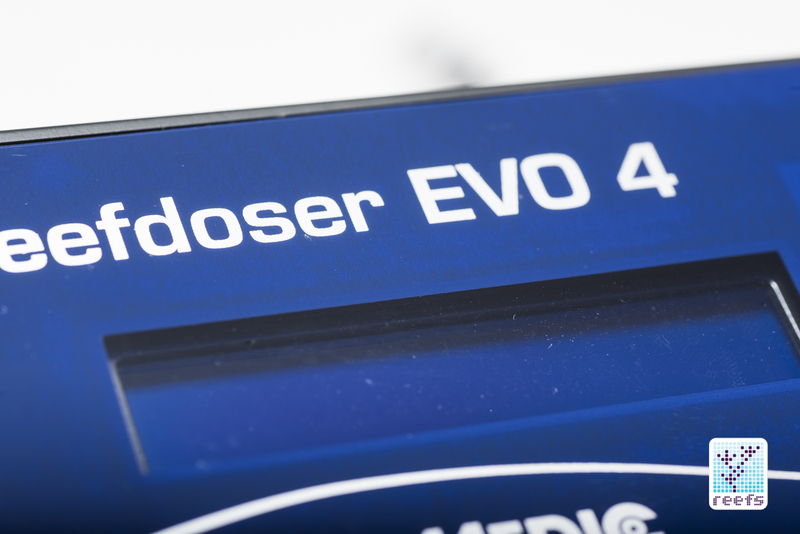 Finally, the dosage time for each individual dose is set. 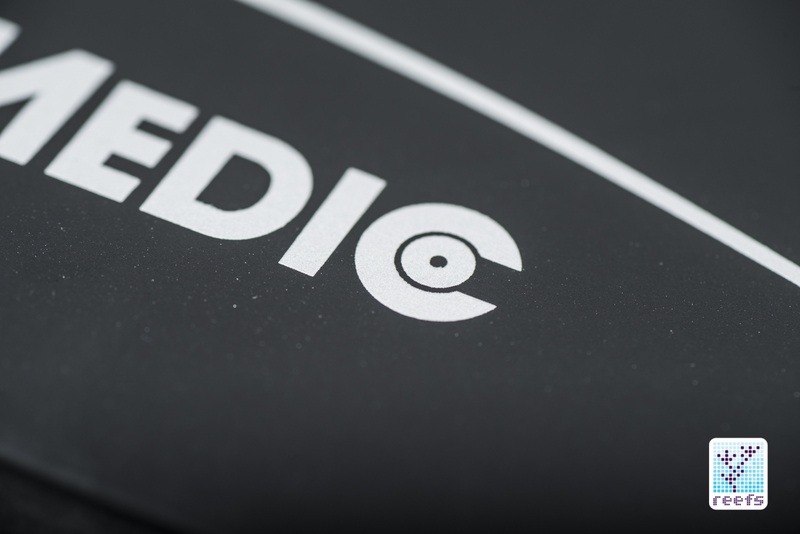 Hit “Enter” to finalize the program or “Esc” to return to the previous step. 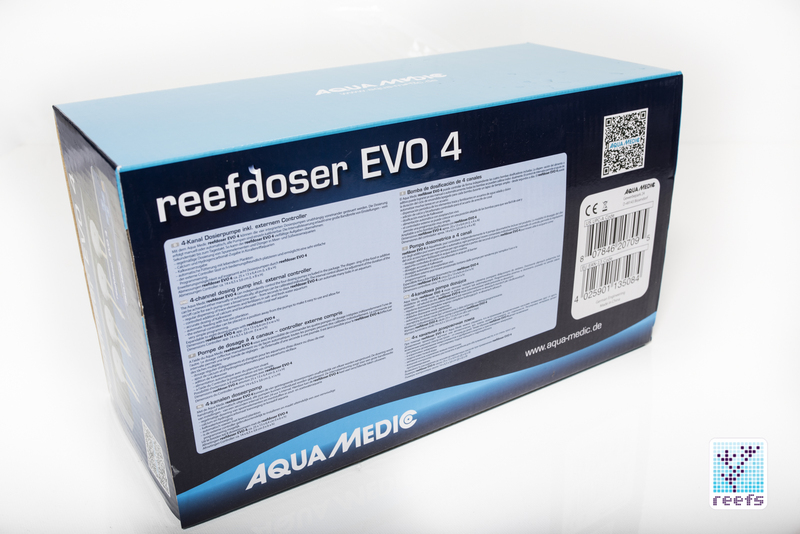 There are two additional modes in Reefdoser 4 EVO, both of which should be standard in quality dosing pumps. 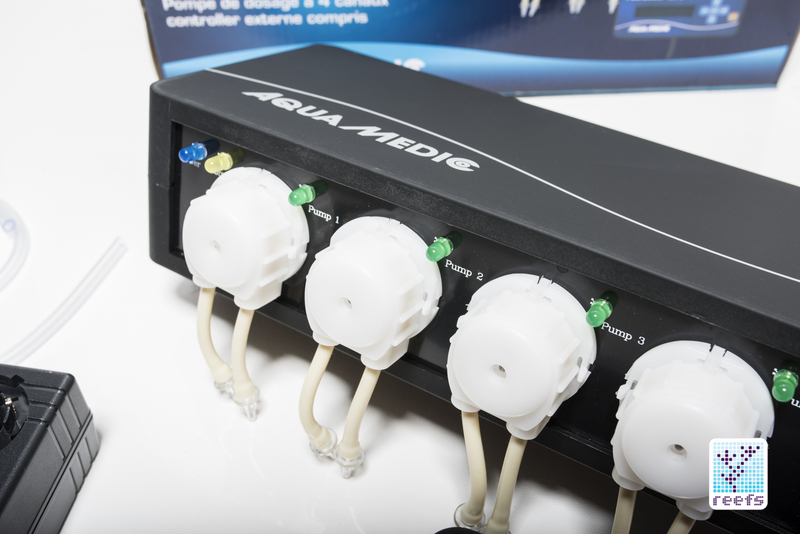 The “manual” mode lets users turn any pump off/on manually, regardless of the saved program. 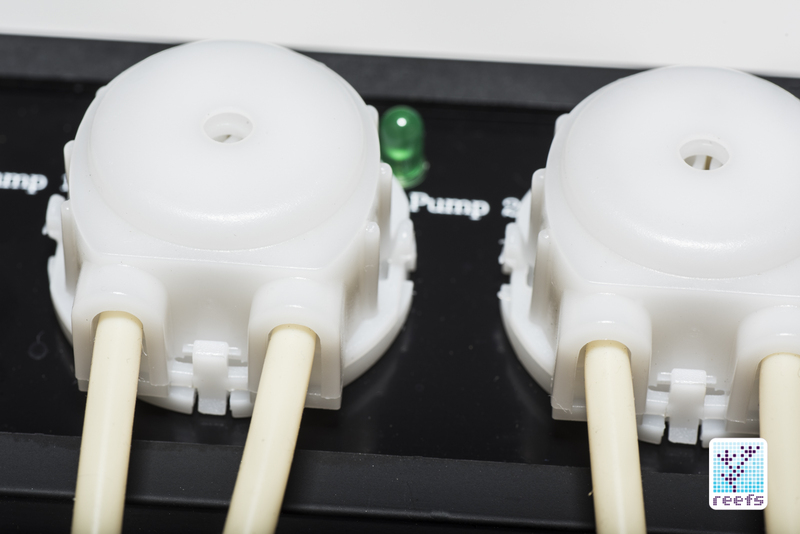 Simply press the left arrow button to enter manual mode, choose the pump you wish to “override” and press & hold “Enter” to engage pumping. 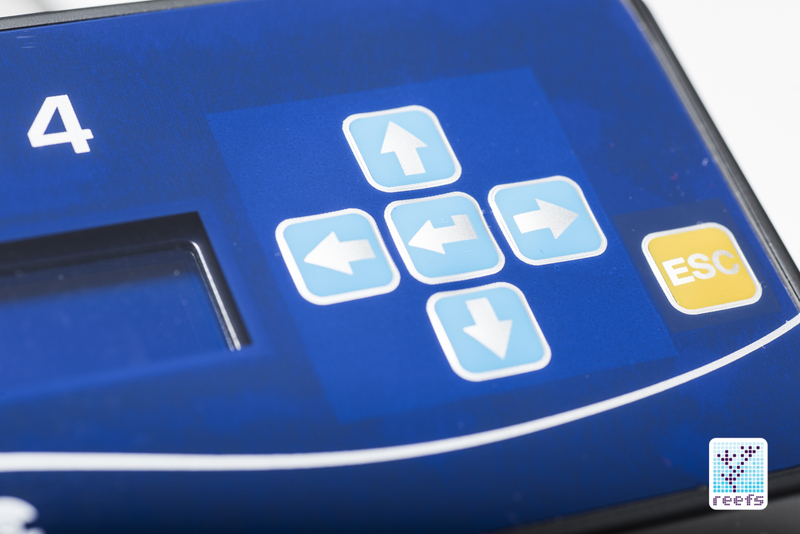 The other mode, initiated by pressing the “Up” or “Down” buttons, takes users to a calibration mode. 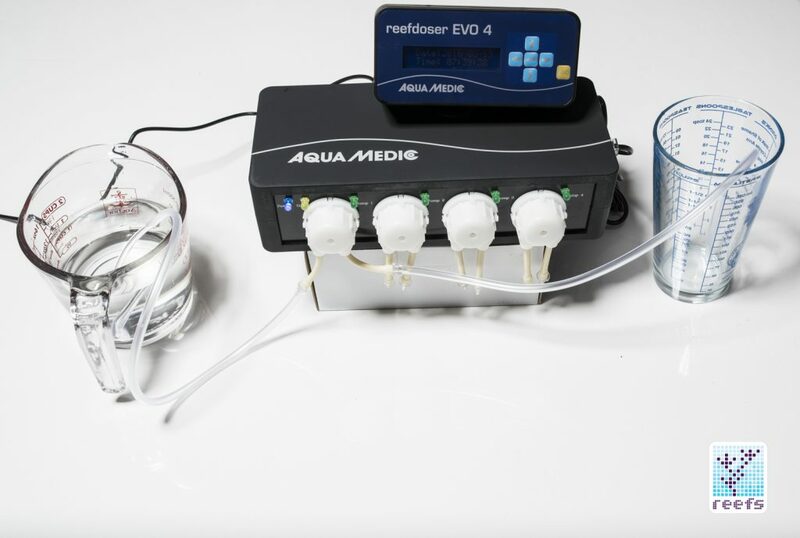 The pumps come calibrated by the manufacturer, but if you suspect the accuracy is off, you can follow the calibration process and tell Reefdoser the actual time it takes to fill a 100ml test tube, in effect calibrating the given pump head. I set up a makeshift lab to test the accuracy of Reefdoser EVO 4 pumps. 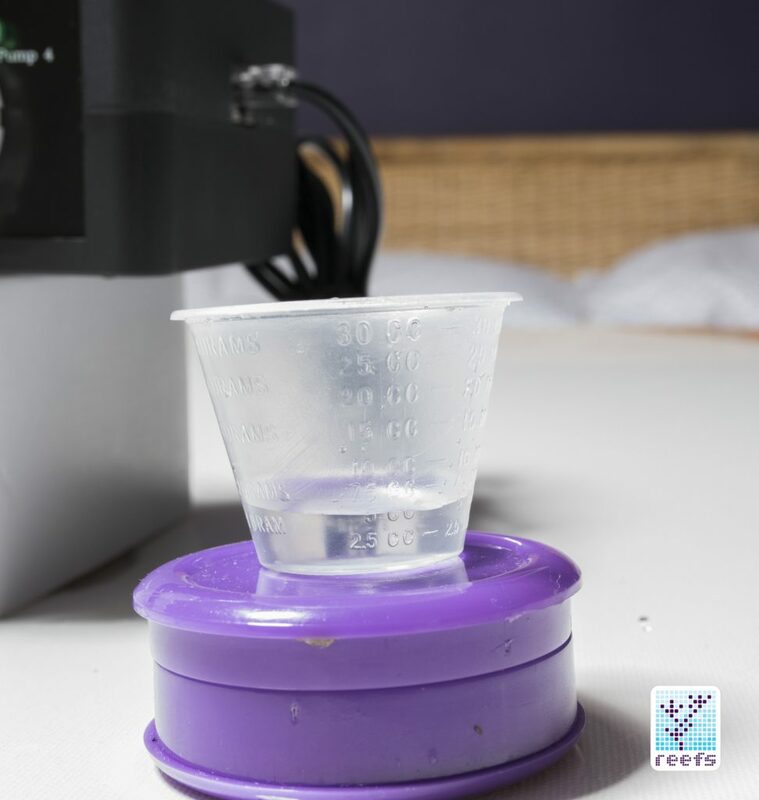 It consisted of a feed container and two measuring cups with scale that I normally use as dosing vials in my tanks. 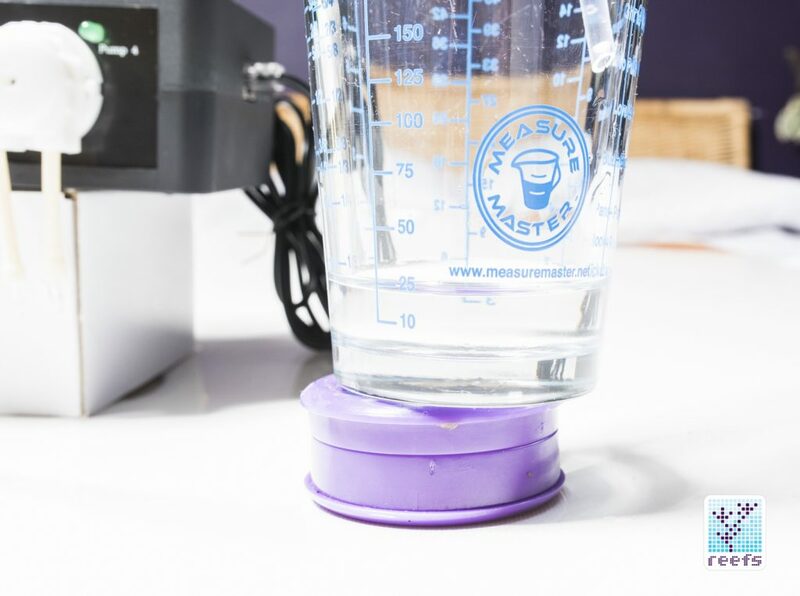 The liquid of choice for this test was dihydrogen monoxide (H2O). 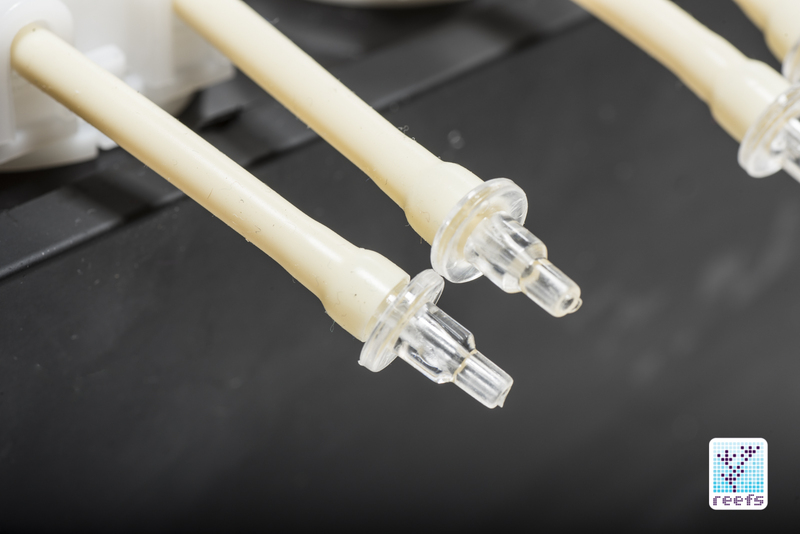 For the first test, I set pump 1 to dose 25 ml. 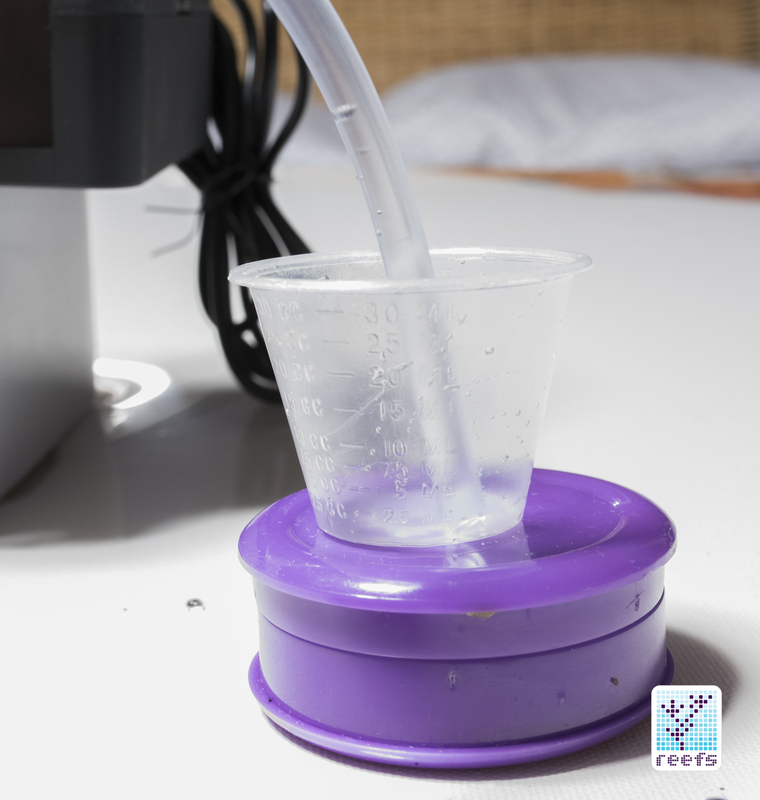 Results: it dosed slightly less, approximately 24-24.5 ml. 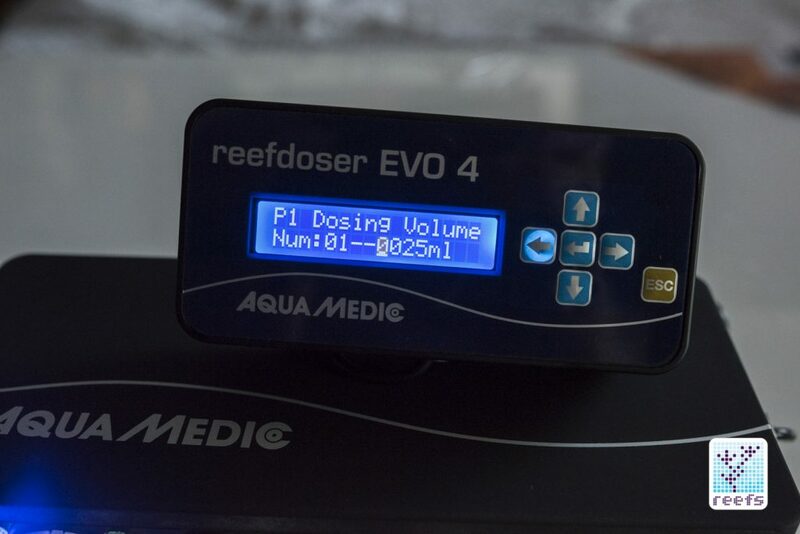 I calibrated the pump using the Reefdoser internal calibration mode and the second time it gave me the correct, 25 ml dose. 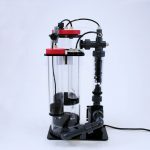 For the second test, I wanted to simulate a smaller tank, so I set pump number 2 to dose 5ml of liquid into a small cup. This gave me an accurate dose on three separate doses. 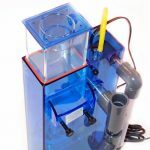 The pump heads, while operating, make a very light humming noise, nothing you would be able to hear if it was inside the fish cabinet.